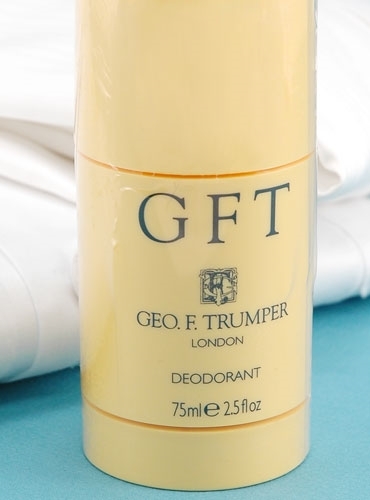 A glycol based deodorant stick fragranced with the scent of Trumper's signature GFT cologne. Provides a fresh scent throughout the day. Contains glycerine and Vitamin E. Alcohol and tricosan free. 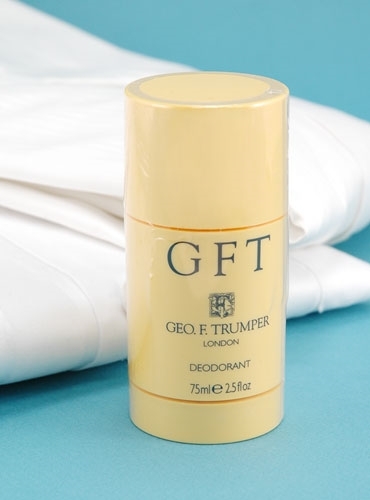 Trumper's signature GFT scent is a fresh scent with top notes of bergamot, lemon and mandarin, a heart of tarragon, lavender and cypress on a musk-like base with cedar and moss.